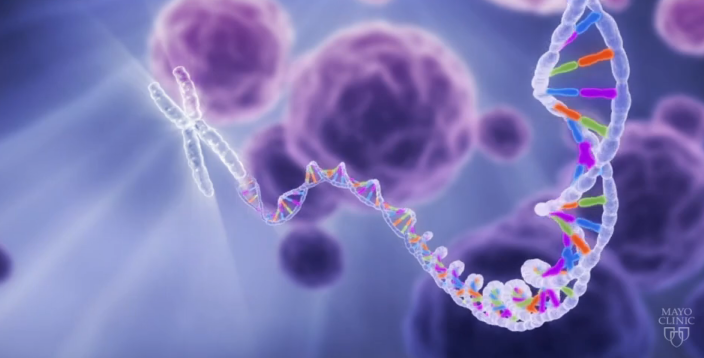 A new study published last week of patients with breast cancer adds to the growing evidence that detecting cancer DNA circulating in the blood can guide patient treatment. A team of researchers, including scientists from the Translational Genomics Research Institute (TGen), has reported that analyzing circulating tumor DNA (ctDNA) can track how a patient's cancer evolves and responds to treatment. In a study recently published in Nature Communications, Muhammed Murtaza, M.B.B.S., Ph.D., of TGen and Mayo Clinic, and colleagues, describe an extensive comparison between biopsy results and analysis of ctDNA in a patient with breast cancer. The researchers followed the patient over three years of treatment. This type of blood test — known as a liquid biopsy — is less invasive, less costly and less risky than conventional tissue biopsies, which essentially are minor surgeries. Obtaining liquid biopsies could occur more frequently, too, thus providing physicians with up-to-date information about how a patient's cancer might be changing. This, in turn, could help in the selection of the best possible treatments to combat the cancer. The researchers followed a 42-year-old woman diagnosed with invasive ductal carcinoma — the most common type of breast cancer — that had spread to other parts of her body, including her backbone, chest and liver. Eventually, it spread to her brain and left ovary. Over the course of her illness, the researchers obtained eight tissue biopsies and nine blood samples for study, including samples obtained at a research autopsy. Their analysis revealed that ctDNA in blood samples tracked mutations that occurred in her cancer as it spread to various parts of her body and identified the tumor sites that developed resistance to therapy. 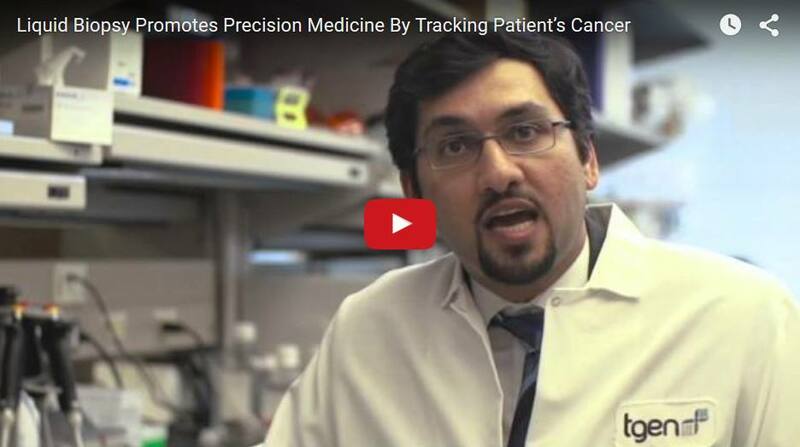 "Our results show that ctDNA, collected through liquid biopsies, provides a dynamic sampling of cancer cell alterations, reflecting the size and activity of distinct parts of the tumor," Dr. Murtaza said. Further, the study results suggest that precise and up-to-date genetic monitoring of changes in a patient's cancer, through ctDNA analysis, could help inform physicians what type of targeted treatment might be best at each stage of the disease. 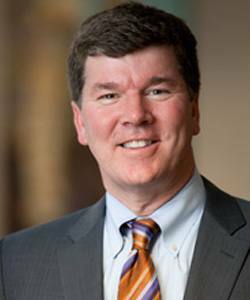 "The potential of using circulating DNA for estimating just how well a patient may respond to targeted therapies and for tracking the development of resistant clones in real-time, heralds a new era for precision medicine," said Keith Stewart, M.B., Ch.B., the Carlson and Nelson Endowed Director, Mayo Clinic Center for Individualized Medicine. "I'm very confident liquid biopsies will become a routine part of clinical practice in cancer." Dr. Stewart was not involved in the research. While the study, Multifocal clonal evolution characterized using circulating tumor DNA in a case of metastatic breast cancer, resulted from deep genomic analysis of a single patient, the observations have important implications for future ctDNA studies. 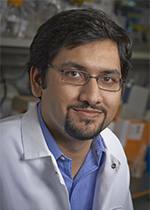 Dr. Muhammed Murtaza, who holds a joint appointment at Mayo Clinic and Translational Genomics Research Institute (TGEN), describes how circulating tumor DNA in blood could inform physicians on best treatments for individual patients. Contributing to and supporting this study were: Mayo Clinic in Arizona, the University of Cambridge, the Human Research Tissue Bank at Addenbrooke's Hospital, the NIHR Cambridge Biomedical Research Centre, Cancer Research UK, National Institute for Health Research Cambridge Biomedical Research Centre, Cambridge Experimental Cancer Medicine Centre, Illumina Inc., Peter MacCallum Cancer Centre, the Australian National Breast Cancer Foundation and Victorian Cancer Agency Early Career Fellowship, and Science Foundation Arizona's Bisgrove Scholars Early Tenure Track Award.